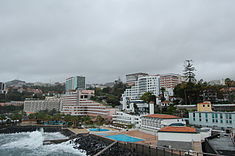 Funchal [fũˈʃaɫ] is the lairgest ceety, the municipal seat an the caipital o Portugal's Autonomous Region o Madeira. The ceety haes a population o 111,892 an haes been the caipital o Madeira for mair than five centuries. 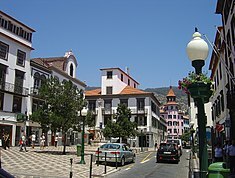 Penha de França, wastren zone o Funchal. This page wis last eeditit on 18 Februar 2019, at 01:16.